I read today that the U.S. Post Office lost $2.8 BILLION last year, and is on track to lose $6 BILLION this fiscal year. They are talking about eliminating a delivery day, possibly Tuesdays. And yet Fan Mail Wednesday marches on (thanks largely to the internet)! So let’s roll up a sleeve, reach into the giant metal cage, and see what we’ve got this week . . .
My name is Sam and I am in third grade and I live in Missouri. I like playing soccer and reading books. I picked one of your books to do my book report on. I had to do a mystery book. I picked The Case of the Bicycle Bandit. I picked this book because I like reading Jigsaw Jones books. I like this book because I like bicycles. I like all the characters but my favorite was Ralphie. I like Ralphie because he likes Old Rusty. My favorite part of the book was when Jigsaw had the X-2000 and spied to look for Ralphie’s bike. I liked when they fixed up Ralphie’s bike and painted it blue. A few things in that book come from my childhood. I was the youngest of seven children, with four older brothers. We had a shed in the backyard, crowded with assorted old bicycles, parts of bicycles, rusty tires, broken chains, and spray-painted bicycle frames. My older brothers were always working on their bikes, improving them, putting on banana seats and chopper handlebars. My own bikes were often hand-me-downs, bikes I had inherited from my brothers. So that’s what I imagined Ralphie riding. And like Ralphie, I became very adept at slipping a greasy chain back onto the sprocket. Old Rusty could shake and rattle. But it couldn’t roll. Not very well, anyway. Its tires were bent. Spokes were missing. The handlebars were twisted. The seat was ripped. The fenders rattled. The brakes squeaked. And worst of all, the chain kept falling off the whatchamacallit. After every block, Ralphie had to stop. He got off, turned the bicycle upside down, and carefully slipped the chain back onto the round thingy. I’m glad you liked the part about the X-2000, with “special extender action.” I had a toy just like it when I was little. It was a periscope that extended out, and it even allowed me to peek around corners to spy on my family. I loved it. My brother Billy’s girlfriend, Janice, was not as thrilled, though I certainly was! Thanks for your letter, Sam. And thanks for reading my book! P.S. 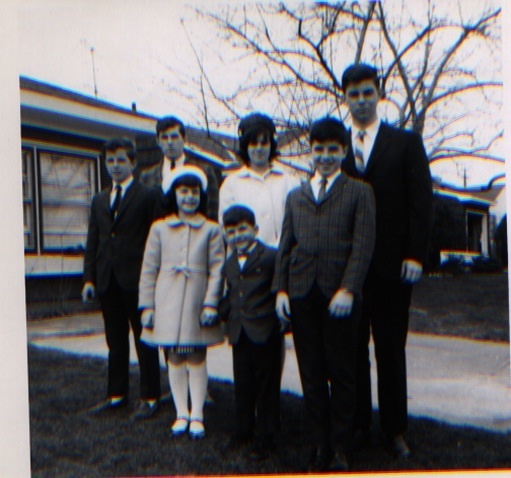 Just for fun, here’s an old photo of my family, from back around 1966 or so, before everyone’s hair grew long. 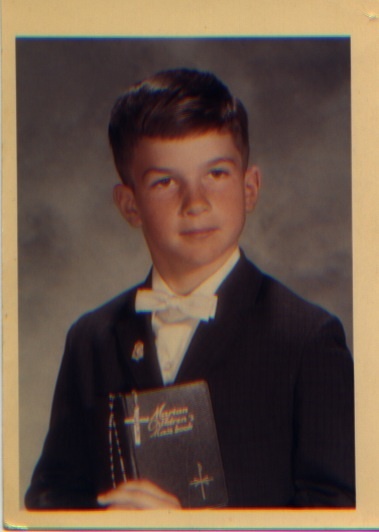 I’m the youngest, sporting a clip-on bowtie. This must be Easter, because that’s the only time my father ever pulled out the camera.